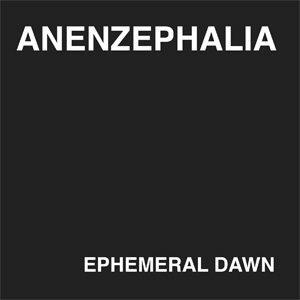 Ana Liil doesn’t want to be your friend – she lives in an entirely separate world. Maybe at night you see her shape behind a grimy window in the neighbourhood, or you hear her singing from afar. But you will never get closer to her. “I don’t know who she is,” Apoptose says. “One day she just emerged. 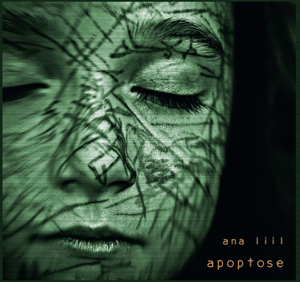 Like a thought that sounds logic in your dreams but completely strange in daylight.” Apoptose’s “ana liil” plays with your expectations. 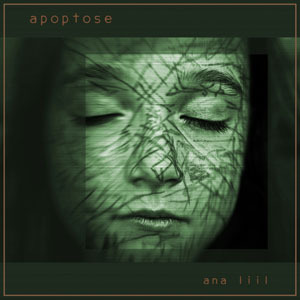 This album spins within close range of those dark ambient realms that Apoptose became known for since the early 2000s. Songs like “meer der ruhe” or “schnee” still bear this signature. But at the same time they show a new quality of songwriting. Both feature the frail singing of a girl who keeps the dusty shadows at bay . 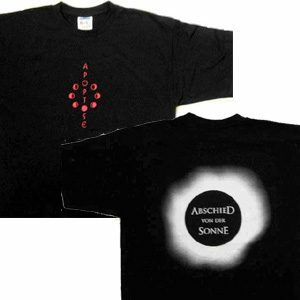 On “forget your face”, “adrenalin” or “ich verbrenne” Apoptose replaces the reverb charged tracks by songs full of voices and haunting melodies. But beware: all is not as it seems. The album will be available on CD, vinyl+CD and download. The CD is housed in a stylish spot varnished six-panel cardboard pack including a twelve-pages booklet and a separate CD-sleeve. The LP+CD version comes in an altered design with copper foil blocking and printed inner sleeve.